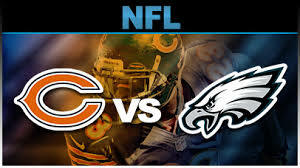 Eagles 54 – Bears 11? There are some games that turn out contrary to what most expected going in. Some contests have a final score wildly different from what the prognosticators predicted. And some match-ups don’t look like much on paper, yet they have outcomes outlandishly opposite our best hopes or worst fears. Some nights, everything turns out right (or wrong) depending on which sideline you stand on. As a believer in the God of the Bible, I’ve come to expect the unexpected. This is true in my spiritual life as well as my natural life, and my “sports life” as well. Last night, with the entire NFL world watching, my Eagles did the unexpected. Not only did they defeat the favored Chicago Bears, they walloped them. The final score was 54 to 11, and, as they say in the sports biz, “it wasn’t that close.” The Eagles did just about everything right, and the Bears did just about everything wrong. God is the God of the unexpected. He unexpectedly allowed Elizabeth to give birth to John the Baptist at a very old age. God unexpectedly chose the Virgin Mary to be the mother of our Lord. And He unexpectedly chose shepherds to be the first recipients of the message of the birth of Christ. God is full of surprises. God is the God of the unexpected. The devil did not believe the Scripture which prophesied of a Virgin conceiving and giving birth to Immanuel, God with us. Our enemy did not factor in God using an unknown, unlikely and unsuspecting humble girl to be the mother of Jesus Christ. That old serpent could not prevent the coming of the Christ child, even though he used Herod to slaughter the innocents. As a believer in the God of the Bible, I’ve come to expect the unexpected. 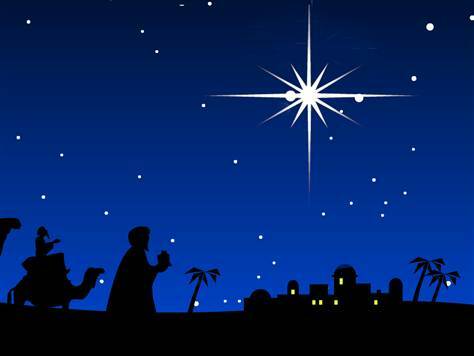 God is the God the unexpected and Christmas is the ultimate expression of this expected unexpectancy. We should trust that our God will do the impossible, the improbable and the unexplainable in order to deliver His people from depression and dejection, and to save His people from oppression and suppression; He will go to any length and leave no stone unturned to save His people from the penalty, power and presence of sin. Just when you think you’ve seen it all, God pulls a fast one. Just when you think you’re at the end of your rope and all hope is lost, God has a way of doing the unexpected. When the odds are against you and it seems that no one is with you or “for” you, God has a way of doing only what only He can do; He will step up and step in and set the record straight. God will do what is impossible for man but is totally possible for Him, because He is God.